What Is a Flexible Spending Credit Card? What Is a Deferred Debit Card? A flexible spending credit card may offer attractive options in account terms. Before signing on the dotted line, however, make sure you understand the difference between a standard credit card and a credit card with flexible spending terms. The credit cards you have and the way you use them affect your overall credit score. Rather than having a preapproved credit limit, a flexible spending credit card uses information about your income and credit history to provide a variable credit limit. To understand a flexible spending credit card, it helps to understand the terms of typical credit cards first. With credit approval, you receive a credit card that enables you to utilize a preapproved credit limit that is provided by a lender. The credit card company may charge an annual fee for the account, though many come with no fee. There may be additional fees for occurrences such as going over your limit and making a late payment. If you pay your balance in full every billing cycle, you will not incur interest charges. If you carry a balance, the credit card company will charge you a predetermined interest rate for this unsecured loan – known as an annual percentage rate (APR). With a flexible spending credit card, many account terms are similar, but there is a fundamental difference – the spending limit. A flexible spending credit card offers a flexible spending limit that can vary, usually up to a specified dollar amount depending on your income, credit score and history of successful payments. Fees such as annual fees and late fee penalties generally mirror standard credit cards, but with a flexible spending card, you would not incur a penalty for exceeding your credit limit. Check out the fine print of a flexible spending credit card to ensure that you understand how it works. It’s common for these cards to have special terms that involve individual evaluation of every charge that exceeds a certain credit line. This means that if the credit card company determines that your account usage and history of performance are acceptable, approval will occur. If something about your account history isn’t up to par, the charge won’t go through. What Is the Difference Between a Checking Account & a Credit Card Account? Your credit utilization ratio makes up 30 percent of your total credit score. The credit utilization ratio represents the amount of credit you currently use in comparison to the amount of credit available to you through credit card accounts. 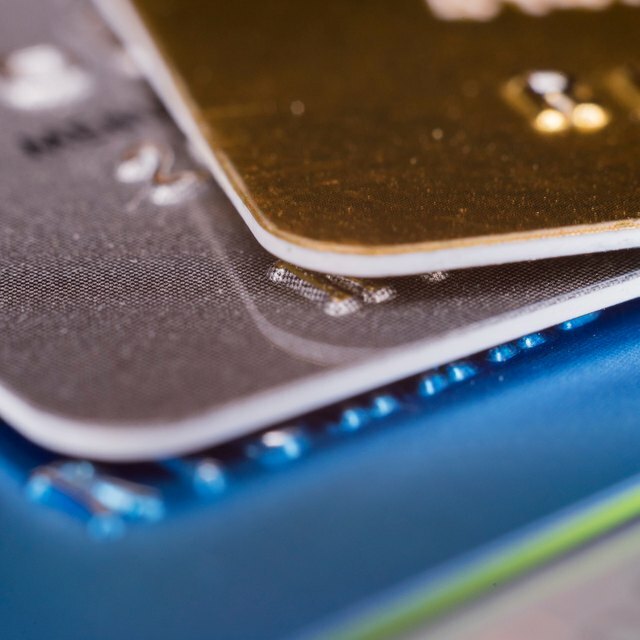 With flexible spending credit card accounts, credit card companies often do not report the credit limit to credit bureaus, which can negatively impact your credit utilization ratio. The end result could be that your credit utilization ratio appears larger than it really is because your credit limit is closer to your utilized credit. Credit Karma: Charge Card vs. Credit Card – What’s the Difference?